These activities were created by graduate students at NYIT as part of their course in Language Arts and Technology. The PowerPoint games need to be downloaded. You need to have PowerPoint installed on your computer. The PowerPoint viewer unfortunately doesn't work well at all. In order to avoid frustration, classroom teachers should preview all the activities on their classroom computers to make sure the activities work. Carolyn Semet created this story with the CAST UDL Book Builder. Some of the illustrations are photographs she took in London. Ladybug snuck into Ms. Henson's red suitcase in order to get on a flight to London. Find out what happens when she arrives! Learn about computer parts in this beautifully illustrated story. Lynne Bailey created it with the CAST UDL Book Builder. In this story Milton Francis introduces you to Coccinella septempunctata. The CAST UDL Book Builder prompts ask very interesting questions, provide many facts and give support. Are ladybugs all female? You will find this out along with other interesting information in Calvert Bowen's book. He created it with the CAST UDL Book Builder. The cover was designed with FD's Flickr Toys. Find out who Arleen Chan is talking about in her story. Arleen used the CAST UDL Book Builder and student created illustrations. Read this story to find out how Timothy Sullivan uses ladybugs to teach you some math! This story was created with the CAST UDL Book Builder. There's a hidden message in this story. Read it and find out. Doug Luciano wrote this book with the CAST UDL Book Builder. Beverley Gregory wrote this story with the CAST UDL Book Builder. You'll love it! David Manzalaoui used the CAST UDL Book Builder to create this informative book. It has lovely photographics. Do you know how ladybugs keep their eggs safe? The answer is in Jason Feliciano's story. You will learn some very interesting information in the book that he created with the CAST UDL Book Builder. Teresa Noverr-Chin wrote a story with the CAST UDL Book Builder that will the entertain and fascinate you. Don't miss this one! In this story, author Deirdre Doherty teaches us about honesty and friendship. It was created with the CAST UDL Book Builder. This story is about a ladybug who visits an orchestra. The author, Lee Nelson is a music teacher and his story will teach you about different instruments. He created it with the CAST UDL Book Builder. Barry Spainer wrote this wonderful study with the CAST UDL Book Builder. Learn about the life cycle of ladybugs. Mrs. Silverman wrote a story for with the CAST UDL Book Builder. The photographs were taken on her scuba diving trips. Mrs. Silverman also created this story with VoiceThread. The format is different but you can interact with the story. Coleo the ladybug tries to escape a trap and gets lost. Will he ever see his mother again? Read Steven Schnee's story which was created with the CAST UDL Book Builder to find out. How much do you know about ladybugs? Take Sara Lopriore's mini-hunt to find out! After you have completed the hunt, Sara will guide you through a virtual ladybug nature walk. Let's see if you know the life cycle of a butterfly. Leigh Ann Polenski and Monica Alderman created this fun matching game. Do you know what a ladybug would do if you squeeze it? Find out when you play Judy Mui's ladybug PowerPoint game. Answer the questions and see how much money you can win. Heidi Lappi and Marcos Cabrera ask some tough questions, so it won't be easy! They created this game with Mark E. Damon's PowerPoint Template. JP Lang wrote a beautiful short tale about the ecology of the ladybug. Not to be missed! Here's your opportunity to have fun, practice your acting skills and learn about ladybugs. Stephanie Krol wrote this script just for you! Would you know how to care for a ladybug if you found one? 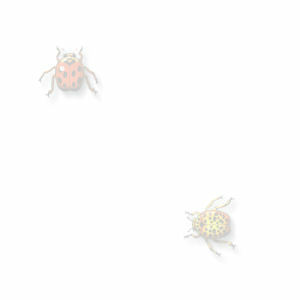 Aimee Peguerno created a fun Web Quest that will help you become a ladybug expert. Renee Picarello found some nice activities for you to do as you learn about ladybugs. Are you ready for some fun? First, read Ladybug Facts. Then play Ladybug Squares. Heather Galligan created both of these presentations. After playing this in school you can play it at home with your family. Please be fair and let them read Ladybug Facts first! Listen to Mr. Webber read preschool children this story. Mr. Webber and his students dressed up as ladybugs for this special occasion. You need to have Windows Media Player to see and hear it. Mac users can download it for free. Click HERE to see it on YouTube. Get ready to sing and learn all about ladybugs. Marianne DeMarco has some questions for you too! Brett Cohen wrote wonderful script that has interesting ladybug information. Calling all actors and actresses, it's showtime! If you have a pc and your teacher activated our Ms. Bug text to speech reader, you can have Ms. Bug read the script for you! Click HERE. Sue Brink and Dave Telgheder created this wonderful and adorable interactive storybook on ladybugs. It's time for Jeopardy! Sue Brink and Dave Telgheder made this game to test your knowledge of ladybugs. How much do you know about ladybugs? See if you can win Julie Doyle's game on Quia. Here's your chance to share what you learned on this wiki created by Jennifer Kirby. Ernest Black invites you to do some research on ladybugs and then have fun with his crossword puzzle. Edwin Gillian challenges you to fill in the gaps in this ladybug reading exercise. After filling in the gaps, give Edwin Gillian's crossword puzzle a try. Have fun with this game created in Quia by Julie Cracco. Brian Kiernan, the creator of this game works with high school students. He hopes this game is not too difficult for you. I bet it's not! Ryan Speer teaches you about ladybugs and has some nice symmetry projects for you to do. Learn about ladybugs and character development in Ian Walker's Web Quest. If you enjoy playing Candyland wait until you try Patricia McGibney's game! Louis Morgan has a few questions for you to answer about ladybugs. Once you've answered them, he will lead you to some fun activities.